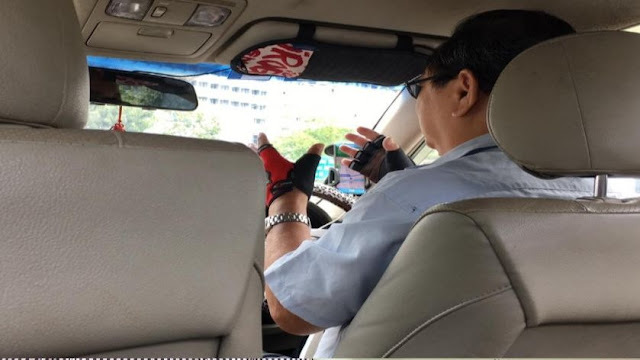 Pinay OFW of Singapore Alexa Balbuena asked the driver of the cab that she was riding to bring her to Henderson Road but little to her knowledge, the taxi driver took a slight detour down memory lane. Balbuena who was in a for surprise, asked why he knew Tagalog. The taxi driver answered that he loved the Philippines and with that lead to their short detour down memory lane. "Fifty years ago - I'm 65 now - everyone looked up to the Philippines. Everyone spoke really good English. You were under the Spanish regime for many years, and were colonized by the Americans for a hundred years (50 years, I corrected), so Filipinos spoke English very well. No other country in Asia could do that. Fifty years ago, Singapore was still a fishing village. Malaysia's oil was not yet "founded". Indonesia didn't believe in the outside world, even China. Thailand's khob khun ka then is still very much the same now. And at the time, we only spoke Malay. So, everyone envied the Philippines. The man once announced to his 15-year old self that his ambition was to become a Filipino due to the exceptionality of the country. He was also proud that the Philippines and Singapore’s leaders were once best friends. "Well, I did project management in the Middle East and met so many Filipinos there. I am Christian, so I usually spent time with them to worship. The man then stated that there should be a day for the Overseas Filipino Workers (OFW) due to their incredible contributions to their country. A short 15-minute ride with the story of their two countries in the eyes of a Singaporean reignited the hear of Balbuena. “Who would have thought that a man from a first-world country like Singapore, a country everyone now admires and looks up to, had once dreamed of becoming a Filipino?” the OFW stated. Balbuena then reannouced her love for the Philipines by the end of her post. Such an unexpected cab tale encouraged her to take pride in the great heritage of the country. Hopes still linger on though, that every Filipino would love the country as much as this taxi driver did.